“Asfendamos” is a complex of five semi-detached stone-built bungalows with private porch. “Asfendamos” is a complex of five semi-detached stone-built bungalows with private porch. Each one consists of one bedroom and a single space living room with kitchen. Their sleeping capacity is for four adults and there is enough space for a baby cradle in the bedroom. For our winter guests, each bungalow offers a fire place and autonomous central heating. Two extra beds and a dresser, in the attic on the upper floor. 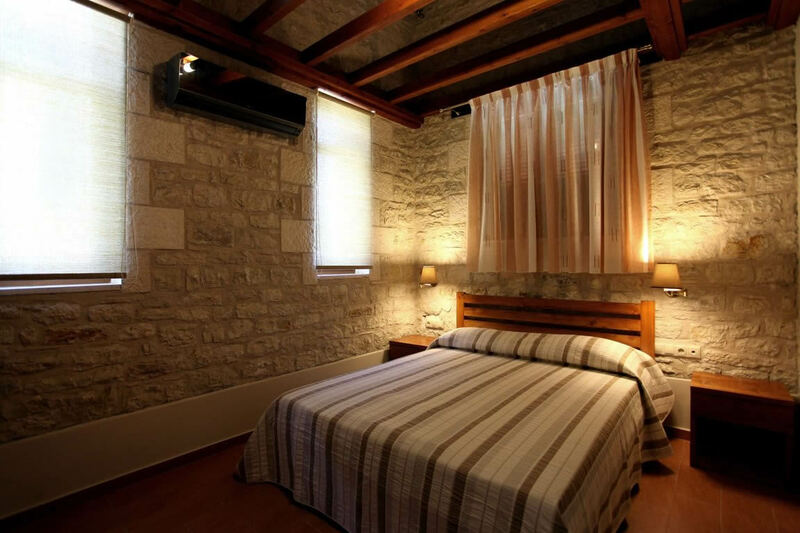 Family vacations, relaxation, close to the forest and surrounded with olive tree fields. Single space living room with kitchen. Fully equipped kitchen with dining table. Two single beds on the attic, upper floor. We have agents waiting to talk to you about your next dream vacation! Send us an email with your vacation information, questions and details. The Website was funded under the Axis 4 Leader approach of the Rural Development Program of Greece.